We love making paper plate crafts, in fact I’m more than happy to admit that this paper plate Santa twirler was my daughters idea! A couple of weeks ago she saw the snowman paper plate twirler I shared, made one herself and then decided to make a Santa version as she thought that would be even better. Now I love the snowman version but Santa? Well everyone loves Santa, right?! This is a really cute and simple Christmas decoration for kids to make and would be a great way to practice scissor skills too. Kids are always the most excited people about Christmas and these Christmas activities for toddlers are the perfect way to keep them busy and having fun while getting excited about the big day! Just like our huge list of 50+ winter activities for toddlers this post has taken me a little while to write up but there were so many great ideas I couldn’t leave any out! Today I’m very excited to be sharing all these fantastic children’s Christmas wreath ideas with you. 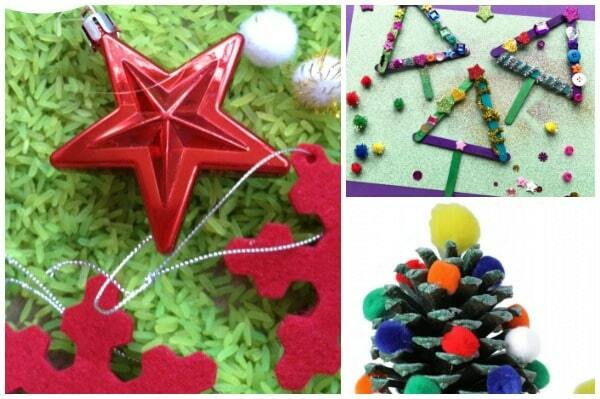 These fun and easy crafts will help your home look super festive and are a great way for kids to decorate their own rooms, how about having one on the door to their bedroom! 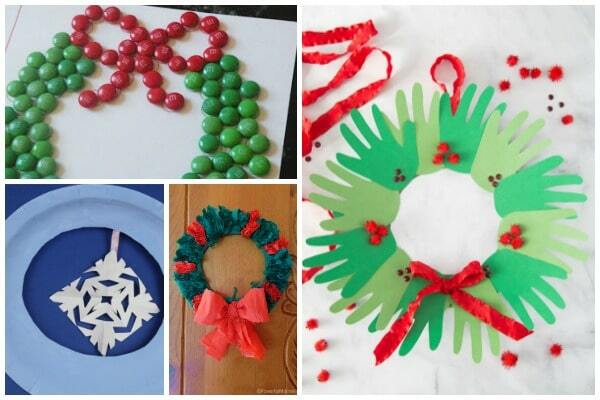 There are all sorts of Christmas wreaths kids can make from paper plate wreaths, to pom pom wreaths and Christmas wreaths with natural materials. Which is your favourite?! 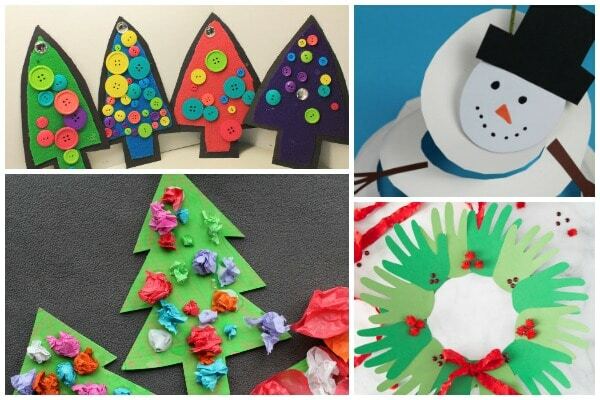 We seem to be sharing a lot of of scrunched paper crafts at the moment but they’re so good to do with kids and I don’t think I’m the only parent who likes to get proper value out of the craft materials they buy? No shame in that, kids are expensive! 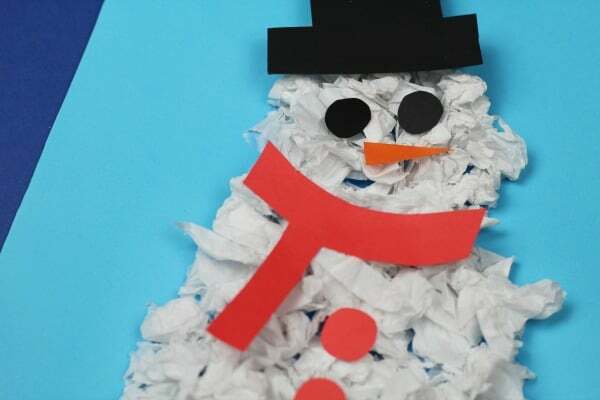 This scrunched paper snowman craft is perfect for Christmas or winter and is a lovely sensory activity that’s good for fine motor skills too. 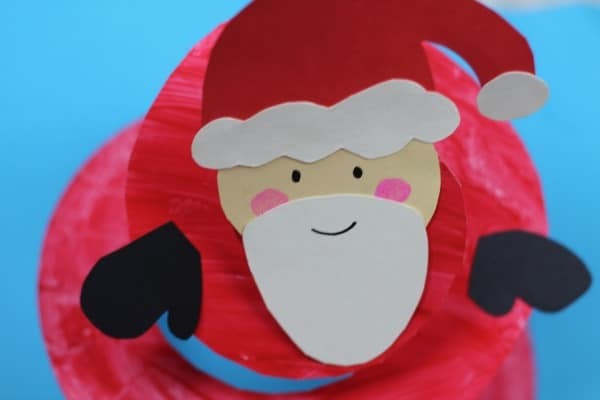 I’ve been meaning to share some easy Christmas crafts for preschoolers for some time now and I’m so glad to finally be able to publish this round up as there’s so many great ideas in it including paper plate crafts, saltdough keepsakes and easy Santa crafts.